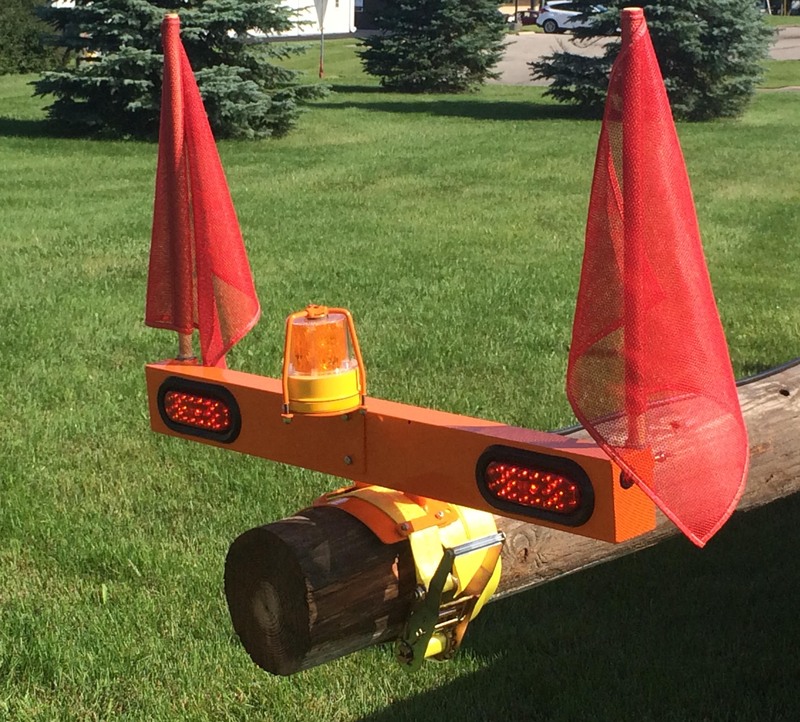 36" wide, light weight aluminum light bar utilizes DOT approved LED stop/turn/tail lights and LED side marker lights. 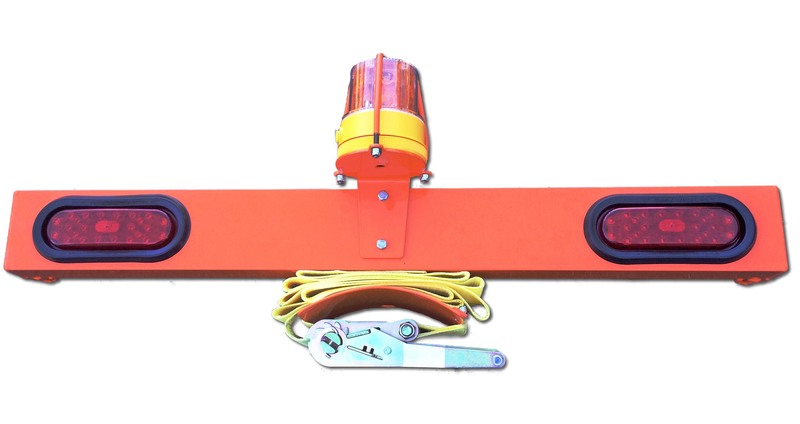 Includes two 18" square red mesh flags, 2" wide heavy duty binding ratchet strap, 40' DuraFlex 4/14 cordage with plug options of 4 way round, 6 way round, or 7 way RV. For extra security, the mounting cradle includes 11/16" hole for 5/8" bolt(bolt not included). Pictured: Optional 360 degree center strobe (12 LED, battery powered) is available in Amber or Red.